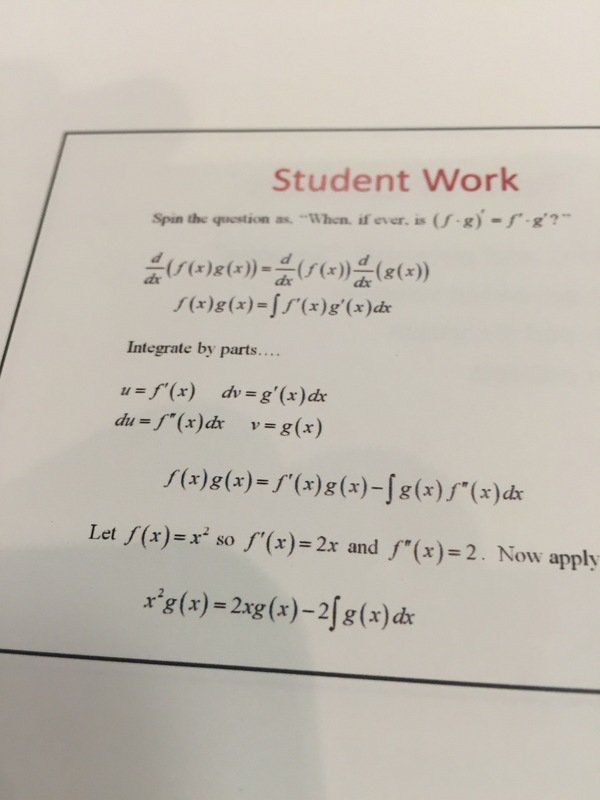 Since I’m teaching calculus in the winter I thought I’d attend a calculus session. Basically they turned common misconceptions and errors into “when is that true questions.” They have turned some of these into student projects. I have a hand out and one is in Guidebook so I imagine it will be in the proceedings.